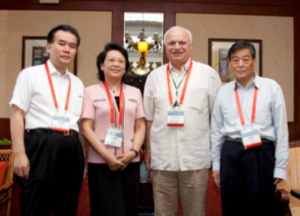 The Membership Committee of the World Federation of Neurology (WFN) will make a special effort during the coming years to attract neurologists of different countries who have difficulties to become part of the WFN, in particular from Africa. For those countries that do not yet have a national neurological society, we propose to individual neurologists to apply first for Associated Membership, so that they can become familiar with the WFN and later apply for a full membership when they are able to form a national neurological society. This proposal is not restricted to African neurologists. In order to overcome existing language barriers, we will accept proposals in French or Spanish, that will be translated into English when submitted to the WFN Board and Council of Delegates at the next congress in Santiago, Chile. Contact the chair of the Membership Committee with additional questions and remarks at dereuck.j@gmail.com. We hope that you will join us, so that the WFN will become more representative and able to stress the importance of neurological diseases in the World Health Organization. De Reuck is the chairperson of the Membership Committee. 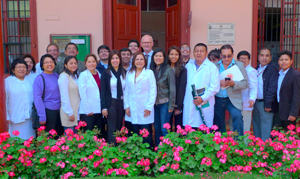 The Latin American Chapter of the NSRG organized teaching courses in Lima, Peru, and Mendoza, Argentina, in October. According to the NSRG teaching concept to offer a high level of theoretical knowledge and sufficient practical skills, both two-day courses included lectures and at least 50 percent practical training in small groups of no more than seven participants. Figure 2. Mendoza in October 2014. The strictly limited number of participants allowed individual mentoring and exchange among all participants and proved functional. At the closing ceremony when the local course directors Prof. Ana Valentia, Dra. Sylvia Cocorullo and Prof. Manfred Kaps as NSRG delegate delivered the participation certificates, there was lots of cheer and enthusiasm. Figure 3. Participants of the NSRG Course in Lima. 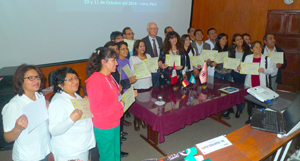 The next NSRG accredited courses will take place in 2015 in Mexico, Brazil and of course during the XXII World Congress of the WFN in Santiago, Chile. Kaps is professor of neurology at Justus-Liebig-University in Giessen, Germany. The First Congress of The Middle East North Africa Committee for Treatment and Research in Multiple Sclerosis (MENACTRIMS) was held Oct. 17-18 in Dubai. MENACTRIMS is an independent organization that facilitates communication and creates synergies among clinicians and scientists to promote and enhance research and improve clinical outcomes in multiple sclerosis (MS) in the Middle East and North Africa regions. It was founded on Dec. 8, 2012, by nine eminent neurologists: Saeed Bohlega and Mohamad Jumaa from KSA, Riad Goueider from Tunisia, Raed Roughani from Kuwait, Maurice Dahdale from Jordan, Jihad Inshasi from the Emirates, Saher Hashem from Egypt, Issa Alsharuqui from Bahrain, and me from Lebanon. The prevalence of MS has been steadily increasing over the last few decades in the Middle East/North Africa region, reaching as high as 80/100,000 in some countries. The challenges posed by such a medical burden created the need for an official regional scientific committee to address all emerging issues related to MS in this region of the world. 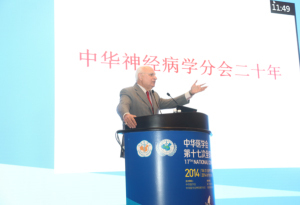 The First MENACTRIMS Congress was the first major endeavor of the newborn MENACTRIMS organization, and with more than 500 attendees, including new practitioners as well as experienced MS specialists from all over the Middle East, North Africa and neighboring countries, it turned out to be the largest scientific MS event in the region’s history. 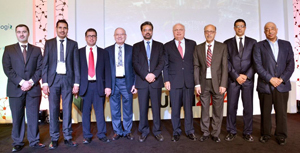 Speeches were given at the opening ceremony by Dr. Bassem Yamout, president of MENACTRIMS; Dr. Raad Shaker, president of the World Federation of Neurology; Dr. Xavier Montalban, president of ECTRIMS; Dr. Suhayl Dhib-Jalbut, president of ACTRIMS; and Dr. Saeed Bohlega, president-elect of the Pan Arab Union of Neurological Societies. 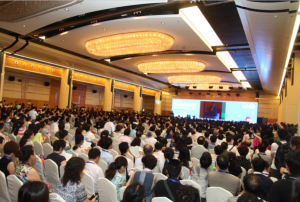 The meeting hosted plenary sessions, scientific debates, clinical courses and symposia, focusing on biomarkers, epidemiology, immunopathogenesis, differential diagnosis, genetic and environmental factors, neuroimaging, OCT, pregnancy and Neuromyelitis Optica. More than 30 international and regional speakers shared their scientific and clinical experience with the audience, and 57 posters were presented during the meeting covering both local and international research. MENACTRIMS is the youngest sister of a large family of international MS societies, which includes our elder sister ECTRIMS of nearly 30 years, ACTRIMS, LACTRIMS, PACTRIMS and RUCTRIMS. One of our main objectives is to cooperate with all international MS organizations to promote research and improve medical care in the field of MS.
Yamout is professor of Clinical Neurology, president, MENACTRIMS and director of the Multiple Sclerosis Center Clinical Research at the American University of Beirut Medical Center in Lebanon. For almost a century, aspirin, one of the most important drugs of the 20th century, was the mainstay of symptomatic analgesia, used universally in the treatment of headaches, arthritis, painful neurological and other maladies. Its introduction is usually credited to Felix Hoffmann’s (1868-1946) synthesis of salicylic acid in 1897. (See Figure 1.) But this is a controversial story. The use of salicylates dates back at least to c. 400 BC when Hippocrates (440-377 B.C.) prescribed the bark and leaves of salix, the willow tree (rich in salicin) to reduce pain and fever. It also was mentioned by Dioscorides (c. 100 A.D.) and later by Pliny the Elder and Galen. In 1826, Henri Leroux isolated “salicin” from willow bark. However, it had fallen into disuse for centuries until the Reverend Edward Stone rediscovered its efficacy. The Reverend Edward Stone (The Reverend was formally known as Edward, but was referred to as Edmund by his close friends and family.) was born in Lacey Green, Princes Risborough, Buckinghamshire, on Nov. 5, 17021. He went to Wadham College, Oxford, in 1720. In June 1728, he was ordained to take up the curacy of Charlton-on-Otmoor, Oxfordshire, where he remained until 1730 when he was elected a Fellow of Wadham. In 1745, he moved to Chipping Norton, Oxfordshire, as chaplain at Bruern Abbey. He explained that he had suffered from “aguistic intermitting disorders,” which may have been malaria. 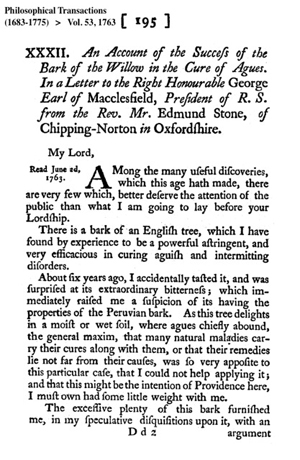 In 1757, he had “accidentally” tasted willow bark and noted its extreme bitterness and its resemblance to Peruvian bark (cinchona tree, source of quinine). Arguing from the doctrine of signatures —”that many natural maladies carry their cures along with them, or that their remedies lie not far from their causes,” Stone concluded that the willow tree that “delights in a moist or wet soil” might provide an antidote for agues that chiefly abound in that environment. Stone gave powdered willow bark over several years to about 50 people complaining of agues or fevers; it was successful in many of them. But, when fevers failed to respond to willow bark, he added quinine, which he found more effective. It’s unclear, however, if any of these patients had malaria. Thus, had Stone accidentally discovered a source of salicylate, the precursor of aspirin. In January 1764, a fire at Bruern Abbey ended Stone’s chaplaincy there. He died intestate in Chipping Norton on Nov. 26, 1768, and was buried at Horsenden on Dec. 2, 1768. After Stone’s report to The Royal Society2, willow bark was advised in some herbals, and pharmacists tried to extract salicylic acid from willow bark and meadowsweet (Filipendula ulmaria). Side effects of salicylate were troublesome but were reduced when, in 1853, acetylsalicylic acid or aspirin was made by Hoffman from acetyl chloride and sodium salicylate. It is usually stated that Hoffmann (See Figure 1.) developed aspirin to help his rheumatic father; but it was not until 1897 that under instruction from Arthur Eichengrün (1867-1949) he synthesized acetylsalicylic acid, which was named aspirin, for the Bayer company. (See figure 3.) 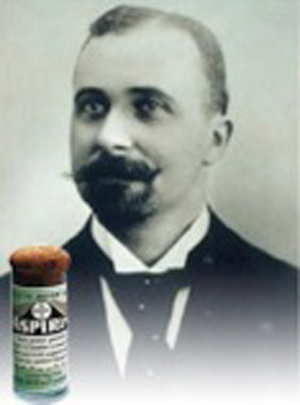 Hoffmann’s close associate, Heinrich Dreser (1860-1924), dismissed the market potential of aspirin on the ground that it had an “enfeebling” action on the heart. (“The product has no value.3“) He was preoccupied at the time with the potential of Bayer’s new drug — heroin4. 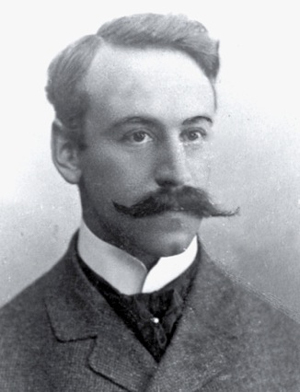 Arthur Eichengrün, whose job it was to discover new products at Bayer, refused to accept Dreser’s rejection of acetylsalicylic acid and pressed for its development5,4. This was later produced commercially by Hoffman and Dreser in 1899, marketed by Bayer as “aspirin,6” whose name derived from Spiraea, then the Latin name for meadowsweet. However, in 1949, Eichengrün claimed7 that he had instructed Hoffmann to synthesize acetylsalicylic acid, and Hoffmann had done so without understanding the purpose of the work. In 1944, while incarcerated in Theresienstadt concentration camp, Eichengrün had typed a letter (in the Bayer archives8) claiming his objective had been to obtain a salicylate without the adverse effects (gastric irritation, tinnitus) of sodium salicylate. Eichengrün tried aspirin himself, with no ill effects. Its real clinical potential was shown when with Dr. Felix Goldmann, he recruited physicians to secretly test it, they found it was successful in several painful conditions9. Eichengrün did not boast of his prime role in the discovery. Hoffmann lived until 1946, notably without publishing his own account of the discovery of aspirin; he mentioned repeatedly that Dreser had set the drug aside. 3. Dreser H. Pharmakologisches über aspirin (Acetylsalicylsäure). Pflugers Arch 1899; 76: 306-318. 4. Askwith R. How aspirin turned hero. Sunday Times [London]. 1998 Sep 13. 5. Sneader, W. The discovery of aspirin: a reappraisal. BMJ 2000;321: 1591-4. 7. Eichengrün A. 50 Jahre Aspirin. Pharmazie 1949; 4: 582-584. 8. Bayer-Archiv. 271/2.1 Personal data on Eichengrün. Dr A. Eichengrün, Aspirin, KZ Theresienstadt. 1944:2. Cited by Sneader,5. 9. Pearce JMS. The disputed origins of aspirin. In: Fragments of Neurological History. London, Imperial College Press. 2003. Pearce is Emeritus Consultant Neurologist at the Department of Neurology, Hull Royal Infirmary, UK. Dr. Peter J Koehler is the editor of this history column. He is neurologist at Atrium Medical Center, Heerlen, The Netherlands. Visit his website at www.neurohistory.nl. The Journal of the Neurological Sciences (JNS) is a broad-based journal that publishes articles from a wide spectrum of disciplines, ranging from basic neuroscience to clinical cases. JNS strives to publish papers with novel, unique and original observations. Along these lines, members of our Editorial Board are encouraged to identify and foster the submission of manuscripts that demonstrate the highest quality research. We also strive to satisfy the desires and needs of our readership, and I have received many requests to increase the number of review articles that cover topics in clinical neurology as well as basic neuroscience. JNS has always welcomed well written and relevant review articles, and I wish to re-emphasize this point to prospective authors. Dr. Daniel Truong, who is the associate editor for Reviews and Commentary, has updated the suggested format for review articles submitted to JNS. Whatever the topic, the review should be richly referenced and include summary text boxes, tables and diagrams or figures. The idea is to make the reviews easily readable and educational. Authors who might be interested in writing and submitting review articles to JNS can find specific requirements and suggestions within the JNS website. In our ongoing attempt to enhance accessibility of JNS articles to members of the World Federation of Neurology (WFN), we have selected two more “free-access” articles, which are profiled in this issue of World Neurology. In this issue, we feature two paired articles regarding the ALS-Plus syndrome. Many clinical and pathological studies indicate that ALS is a more heterogeneous disease than previously recognized. In fact, even patients who appear to exhibit a clinically pure motor system disease often have neuropathological evidence of multisystem disease. In the largest series of cases to date, Leo McCluskey, et al, assessed the frequency of the “ALS-Plus” syndrome in a consecutively ascertained series of 550 patients with ALS. Their criteria for ALS-Plus was a clinical diagnosis of ALS combined with deficits of ocular motility, cerebellar signs, extrapyramidal features or autonomic dysfunction. Cognitive impairment was also assessed, but determined separately. Selected patients had genetic testing and high-resolution MRI of brain. Seventy-five (13.6%) patients had ALS-Plus syndrome. Fourteen additional patients had evidence of cognitive deficit (ALS-FTD). Cognitive impairment, bulbar-onset and pathogenic genetic mutations were more common in the patients with ALS-Plus syndrome compared to patients without ALS-Plus syndrome. The patients with ALS-Plus syndrome also had a shorter survival. McCluskey L, Vandriel S, Elman L, Van Deerlin VM, Powers J, Boller A, et al. ALS-Plus syndrome: Non-pyramidal features in a large ALS cohort. J Neurol Sci 2014;345:118-124. In an accompanying editorial, Benjamin Brooks provides an historical perspective and comments upon the importance of the article for the field of ALS research. He determines that McCluskey and colleagues have performed a “masterful clinical study of a modern series of ALS-Plus from a single center.” He suggests that this study provides a clinical framework for accurate classification of ALS-Plus syndrome. Studies such as this one indicate that “atypical” ALS is not as atypical as we believed and should stimulate more thought and research within the field. Brooks BR. ALS-Plus – Where does it begin, where does it end? J Neurol Sci 2014;345:1-2. England is editor-in-chief of the Journal of the Neurological Sciences. The World Federation of Neurology (WFN) is an active worldwide organization that promotes and advocates for neurology on all continents. We have started to re-engineer the website to shed light on this broad spectrum of activities. The design of the website in recent years has been analogous to an information booklet on the WFN. We want to transform the current website into a vivid and timely information platform, which should allow WFN officials and WFN partners to interact with the website audience. We will not change the design, to keep the corporate identity stable, but the website logistics will change considerably. Here are some of the expected changes. A new registration feature will allow individuals to subscribe to WFN new. Short introductory texts will guide the user through all areas of the website. The content of WFN’s publications (World Neurology and Journal of the Neurological Sciences) will be embedded and promoted through the website; contents of both publications will be presented in short video introductions as well as being indexed for searchability within the site. WFN Committees, Applied Research Groups, partners and initiatives will have access to this information platform to keep the world updated on progress in their areas of responsibility. Content from past congresses will be accessible through an online archive, and online teaching and training tools will be promoted. WFN officials will have the opportunity to present their work for WFN, eventually also through short video messages. Many more details will be adapted. An essential concept of the new website will be to integrate social media much more strongly into WFN’s online experience. Social media allows us to quickly and effectively interact with our audience. 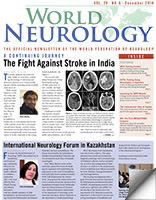 Facebook (facebook.com/wfneurology), Twitter (twitter.com/wfneurology) and LinkedIn (http://linkd.in/1uckYLK). These groups already serve as discussion platforms and user numbers are constantly growing. We want the website to serve your needs in advocating your WFN projects and activities. To do so, we have to get the information flowing. Please help us make your great work visible. We will serve your needs, by promoting your initiatives and ideas. It really won’t take long. Consider that one of the most popular microblogging services, Twitter, basically only supports messages up to 140 characters, so your statements should be short and concise. So in only the few minutes you invest, we might make your work visible to the world. Send your info to walter.struhal@akh.linz.at. The Fogarty International Center (FIC), as part of the U.S. National Institutes of Health (NIH), supports global health research and research capacity building through its own programs and through partnerships with the rest of NIH and outside organizations. To meet its goal of improving global health through research, FIC strives to build partnerships between health research institutions and individual scientists in the U.S. and abroad, and to train young scientists. Fogarty and 17 other NIH components sponsor a Global Health Program for Fellows and Scholars, which offers an opportunity for young investigators from the U.S. and from low- and middle-income countries (as defined by the World Bank) to learn new research skills, build collaborations and advance their careers. Applicants apply directly to specific “support centers,” which are U.S. academic institutions with special expertise in global health, and which are funded through competitive grants. These support centers are the University of California at Berkeley, the University of California Global Health Institute, the University of North Carolina at Chapel Hill, the University of Washington and Vanderbilt University. Applications for FIC training grants are awarded through these support centers. These support centers identify and select candidates, and provide mentoring, technical and administrative assistance to the fellows and scholars in their year abroad. Training is focused on disorders with major impact in low income countries, and on the growing problem of non-communicable diseases in all countries. With neurological conditions making up more than 10 percent of the burden of death and disability worldwide, neurologists moving into a career in international health should find the program of great interest. If you are interested in learning more about the Fogarty fellowship, here are two useful sites. Bergen is with the Rush University Medical Center in Chicago. The Group of Young Training Neurologists (GYTN) is a working group under the representation of the Neurological Society of Argentina (SNA). The group was funded in 2011 with the aim of creating a network of neurology residents and young neurologists around the country. The purpose of GYTN is to create a platform where people can share information and experiences during their education process. The GYTN contemplates different activities. Conferences are conducted the last Friday of every month in the SNA auditorium. They are conducted on-site and online. Our meetings are divided into two parts. During the first part, we select a neurological case and discuss it, with special emphasis on syndromic diagnosis and differential diagnosis. Later, the case is uploaded to the SNA web page in the GYTN sector. The second part of the meeting is used for different purposes. Currently, we are focusing on the exposition to be presented at the annual SNA congress. The subject that has been chosen for this year is Neurological Manifestation of Infectious Diseases. Three cases will be presented for two experts in the topic and an interactive discuss with the public will be made. The online forum is called FAREN, an acronym for “Foro Argentino de Residentes de Neurologà­a,” meaning, “Argentine Forum for Neurology Residents.” To keep it active, we publish clinical cases once a month. Those cases are based on neuro-imaging, which are discussed between neurologists and neurology residents from different parts of the country. We also produce information for the management of neurological emergency situations. We seek to unify the work across different training residents and to update the way to proceed in an emergency based on the latest publications. FAREN is a useful way to publish activities of scientific interest and job opportunities. We want neurolologists around the country to be aware of the latest academic and professional information, improving access to such opportunities. We also are conducting a survey of the country’s residences of neurology. The purpose is to obtain up-to-date information from residents and neurologists working in our country, as well as the welfare and academic needs of each of the centers that are conducting training features. Another initiative of the group is to strengthen the links between young neurologists. To do this, we have initiated contact with the International Working Group of Young Neurologists of the World Federation of Neurology (IWGYNT). The goal is to achieve the global inclusion of young neurologists from Argentina in the activities of the World Federation, and to provide the first Latin American representative to the organization, which currently has members in Africa, Asia, Europe and Oceania. The intention of this article is to inform all neurologists of the work of our group, and especially those who are in the training stage. We hope that other groups with similar ideals and proposals get to know us, and if they are interested they can contact us to share commentaries, experiences or any other types of information. As we find ourselves in the early years of our group, that linkage will be crucial for us, because we have much to learn from those more experienced teams. Alet is a neurology resident at Hospital General de Agudos J. M. Ramos Mejà­a. Dario is a neurology resident at Sanatorio Trinidad Mitre. Fiorella is a neurology resident at the Hospital Italiano de Buenos Aires. All are based in Buenos Aires.